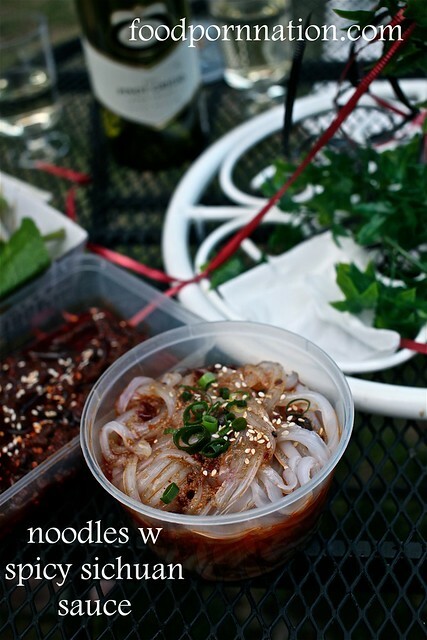 One of the most popular events to hit Crave Sydney Food Festival is the Night Noodle Markets. Held over 13 nights where Sydney’s Asian restauranteurs come together in true hawker fashion to showcase their best at Sydney’s Hyde Park. I’m not normally a huge fan of the Night Noodle Markets. There are hoards of people, you can never find a spot to eat and worse, there’s usually a massive line between you and what’s cooking. ATM machines were also cleverly installed so you wouldn’t have to bear the embarrassment of running out of cash. Clever. 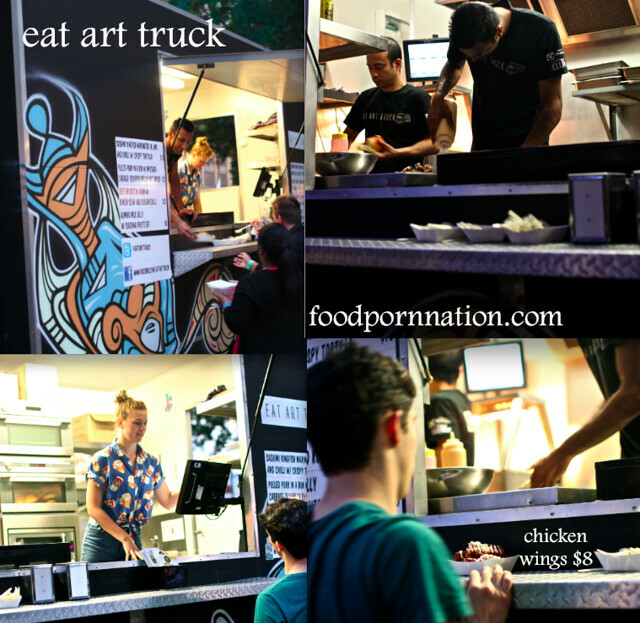 Eat Art Truck is one of 10 food trucks to hit Sydney, thanks to Sydney Mayor – Clover Moore. This began with regulatory changes enabling mobile vendors to take shape and only 10 permits were up for grabs. Due to overwhelming interest, interested vendors were put through rigorous testing where finalists competed in an ultimate cook off. The competition was judged by a panel of expert food judges where the winners of the permits were announced. To locate the moving targets, trading hours are updated regularly through their Twitter and Facebook feeds but to access all Food Truck updates in real time. The City of Sydney has recently released a new Food Truck app. Eat Art Truck is fast becoming one of Sydney’s favourite food trucks and is headed up by Testuya’s ex-sous chef Stuart McGill. 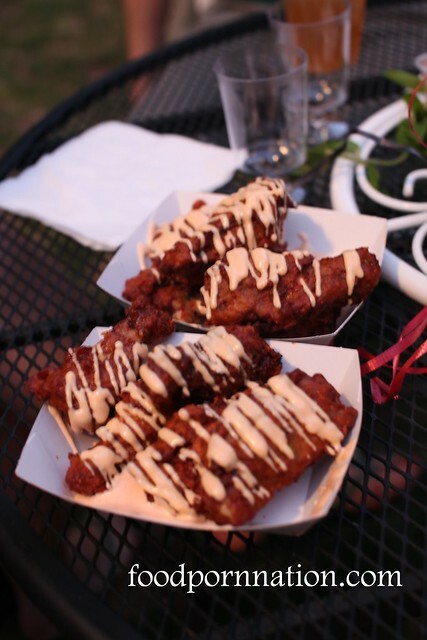 These chicken wings have been getting a lot of air time since its arrival. 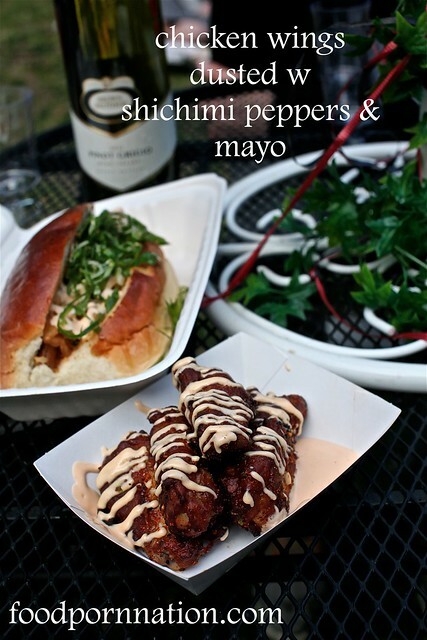 It boasts a spicy crisp exterior against a succulent interior and a gorgeous creamy mayo laced all over the chicken skin. And for $8 we had 6 massive chicken wings to let loose on. Bargain. Next up, the pulled pork bun. 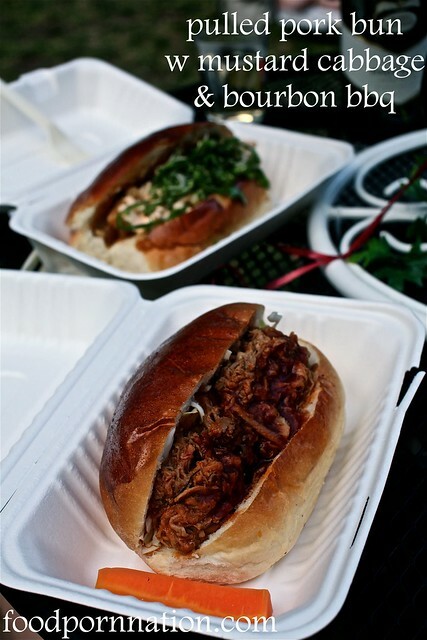 The sweet bun was jam packed with masses of pulled pork. I chose to have the bourbon BBQ sauce rather than the hot chilli sauce and found that the bourbon BBQ was masked by the marinade of the pulled pork. So perhaps, hot chilli next time round? Nevertheless, the bun was still tasty and incredible value for $12. Surely no one could eat all of this in one sitting? The beef brisket bun was less successful. If I had to compare the amount of beef vs. the pork. Beef would lose out. I also found that the slaw to beef ratio was outweighed by the slaw. 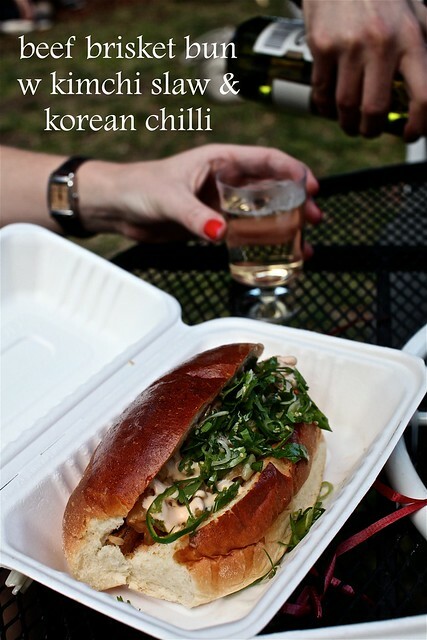 It didn’t taste like kimchi and I also couldn’t taste the chilli. By no means did it taste bad, it just didn’t live to up the expectations as advertised. The colourful kingfish sashimi was visually so stunning that I caught a lot of food envy from my fellow night noodle-ers! The fresh kingfish cubes are tender and finds itself coated with lime and chilli. 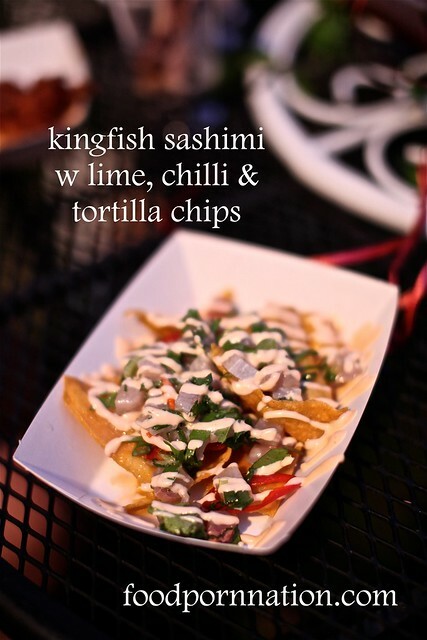 Kingfish morsels are laid on a bed of crunchy tortilla chips and is gloriously laced with the aforementioned mayo sauce. Given its previous success. We unanimously agreed to order a 2nd and 3rd batch of the chicken wings. One wing per head count just will not do! 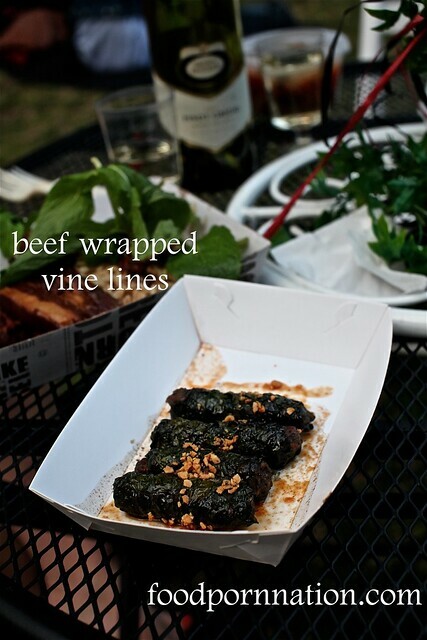 The beef wrapped in vine leaves didn’t quite do it for me, it was dry and had this processed aftertaste. 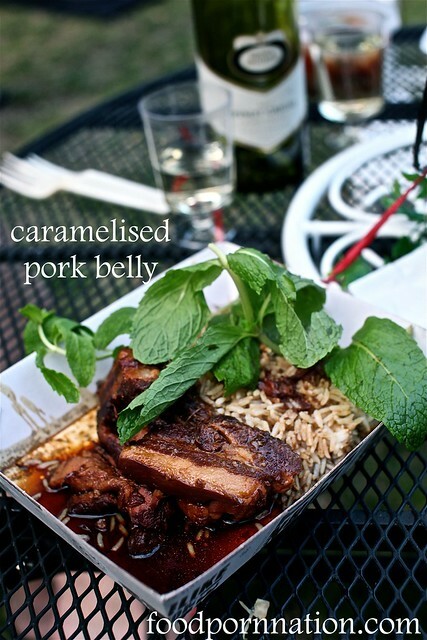 Although the pork belly was beautifully soft, fatty and wonderfully caramelised with a delicious rich deep sauce. This went down a hit with the excess sauce soaked into our bed of rice. Served cold, these noodles were absolutely gorgeous. The noodles were soft and slippery and submerged in the most delicious spicy sichuan sauce finding its way through every strand. 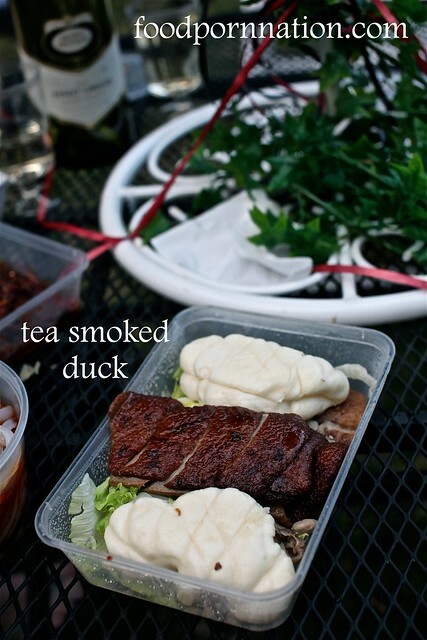 It’s difficult not to compare the tea smoked duck to your duck pancake. I always find that the technique of cooking dries the texture of meat, reduces the fattiness and crispiness of the duck. This was very much the case here. While tasty, my preference lies firmly with my fatty duck pancake. 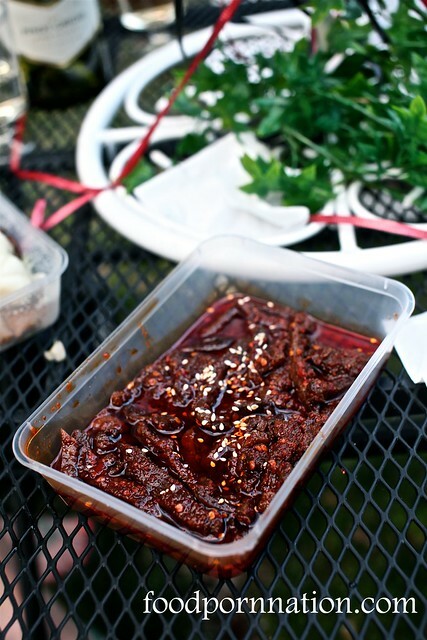 The less popular item of the night was the sichuan pepper beef jerky, only because it was scalding hot! A couple of pieces were unbearable and made it difficult to taste the inherent flavours with the chilli overkill. The Night Noodle Markets was a vast improvement to previous years. Event organisers clearly put a lot of thought into the event by easing the amount of congestion by having more operators and more table settings. With great weather on our side, buzz in the air and the hum of live jazz tunes. You can’t help but let loose with good company, good food and good wine. Welcome to the Night Noodle Market, for good times.